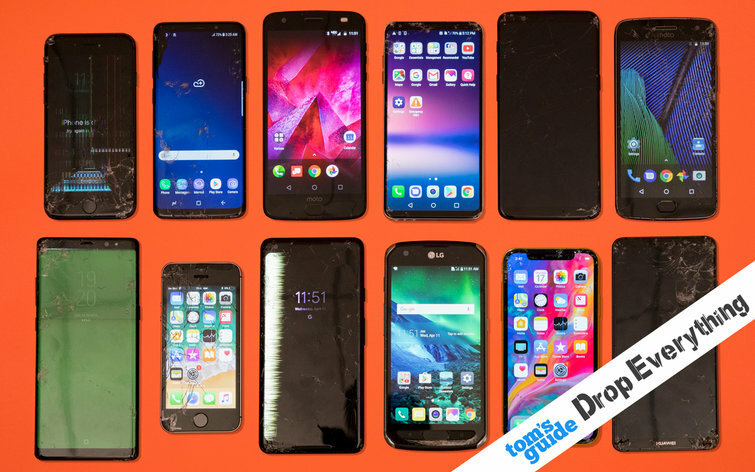 To help you avoid finding out the horrifying truth when your phone goes clattering to the ground, we tested all of the major smartphones by dropping them over the course of four rounds from 4 feet and 6 feet onto wood and concrete — and even into a toilet — to see which handset is the toughest. While the result wasn’t completely unexpected — after all, the phone has a ShatterShield display, which the company guarantees against cracks — the Moto Z2 Force survived drops from 6 feet onto concrete, with barely a scratch. Apple’s least-expensive phone didn’t prove very tough at all. In fact, the $399 iPhone SE was rendered unusable before all of the others. However, this was not a big surprise, as the newer iPhone 8 and iPhone X are made with much stronger glass than the iPhone SE’s from 2016.